48. Swim in Porto Venere. 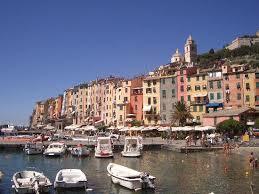 A stunning coastal town in Liguria, Porto Venere is aptly named after Venus, the goddess of love. I went for a dip there a decade ago, and can still picture the impossibly gorgeous surroundings reflected onto the crystalline waters. Pack your swim gear – and be sure to check out Byron’s Grotto, named after the famous English Romantic poet who used to meditate there. This entry was posted in General and tagged bucket list, Byron, byron's grotto, cinque terre, English Romanticism, Italy, Joseph Luzzi, porto venere, swimming, Venus by josephluzzi. Bookmark the permalink.